Is it worth the $299 price tag? Yes!! In fact I paid some­thing like $350 for it because I do not reside in the US and had to pay a hefty deliv­ery fee. After 2 months of usage I do not regret it a bit and it really lives up to the hype — it’s the most pleas­ant key­board I have used. For me, it’s the split and curved design. The patented layout of the key­board does make typing much more com­fort­able. As a pro­gram­mer and geek I type all day. I think I was on the verge of get­ting RSI before I pur­chased the Advan­tage keyboard. People skep­tics may think that there is a placebo effect of RSI or things like that. I was also wor­ried about that when I was get­ting over the $299 price tag. Now that I have used it, all I can say is that I do not believe in the placebo effect — the ergonom­ics is real. Using the thumb to press the Ctrl key totally got rid of my “Vim pinky” (while scrolling through code using Ctrl+F, Ctrl+B and co.) I can only imag­ine that Emacs user will be able to derive a much greater ben­e­fit from the Ctrl key place­ment alone. And how about the mechanical key quality? This is my first mechan­i­cal key­board so I can’t really judge. How­ever this does feel so much better than the crappy Microsoft Nat­ural 4000. The Microsoft key­board has a pretty good split design but the rubber dome keys make me want to throw up every time I had to touch it. How long did it take to adapt? As expected, adap­ta­tion was quite dif­fi­cult. For the first couple of days I dropped from 150 WPM to 15 WPM, no joke. The place­ment of the arrow keys were totally alien and dif­fi­cult to get used to. After two months of usage the usage of the left, right arrow keys still do not feel very intu­itive to me. A major chal­lenge is that the keys are actu­ally placed closer together than most key­board, so that your move­ment must be very pre­cise or you may hit the next keys accidentally. Another major chal­lenge for me was that I always used the right middle finger to press m, which is quite impos­si­ble with the Advan­tage layout. In gen­eral, it’s quite dif­fi­cult to type with any­thing but per­fectly cor­rect typing pos­ture to use the Advantage. It took me about 2 – 3 weeks of casual usage to be able to get back to 120 WPM. After the ini­tial adap­ta­tion period typing was very com­fort­able and I feel quite cer­tain that I can increase my max­i­mum speed with this key­board with more use. What are the weak points about it? The func­tion keys. It may not be imme­di­ately obvi­ous from images of the Web but the func­tion keys are made with low qual­ity soft rubber with a totally arbi­trary place­ment. The bad qual­ity results in func­tion keys often reg­is­ter­ing twice when pressed once. That is rather annoying. The place­ment of the Alt key. By default, you’d need to stretch your left hand pretty wide to do the Alt+Tab key com­bi­na­tion. I have no idea why they choose to do this. It was absolutely ter­ri­ble in the first few months and got a little bit better after a month of use. I tried swap­ping the Win­dows key and the Alt key which was actu­ally pretty good. I switched back to the orig­i­nal layout in the end just because I wanted to stay with the default layout as much as pos­si­ble (for no appar­ent reason). It is rather loud. About as loud as a “classic” key­board so it’s not too bad. But if your office envi­ron­ment mostly use those “flat, laptop style keyboards” then you may be frowned upon a bit. 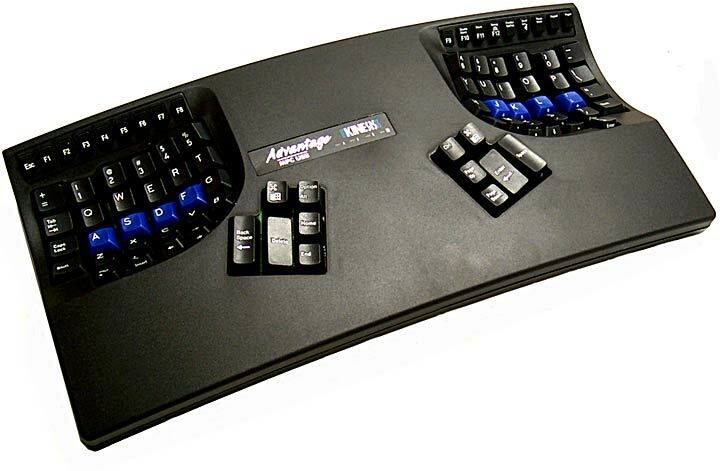 Edit: What about Kinesis Advantage Pro? The Pro has more advanced pro­gram­ma­bil­ity — macros and stuff but I don’t really those. There is also a foot pedal that I don’t really use. So basi­cally the only dif­fer­ence is the “metal finish” that I’m appar­ently gonna get. Unfor­tu­nately, there is no metal finish. If you look closely enough it is just gray­ish look­ing plas­tic. There is a glossy layer of plas­tic on top of the gray­ish body but that’s it. The sad thing about it is that the glossy layer of plas­tic feels pretty awk­ward to rest my palms on. 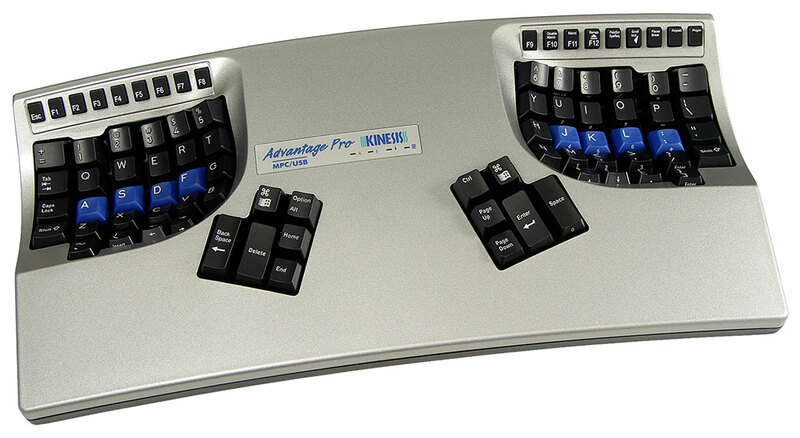 Now I real­ize that nowhere on Kinesis’ Web site did they claim that the Kine­sis Advan­tage Pro has metal finish… I must have mis­read it on some review site. But the thing is that I’d prefer the normal black model despite it’s the cheaper model. 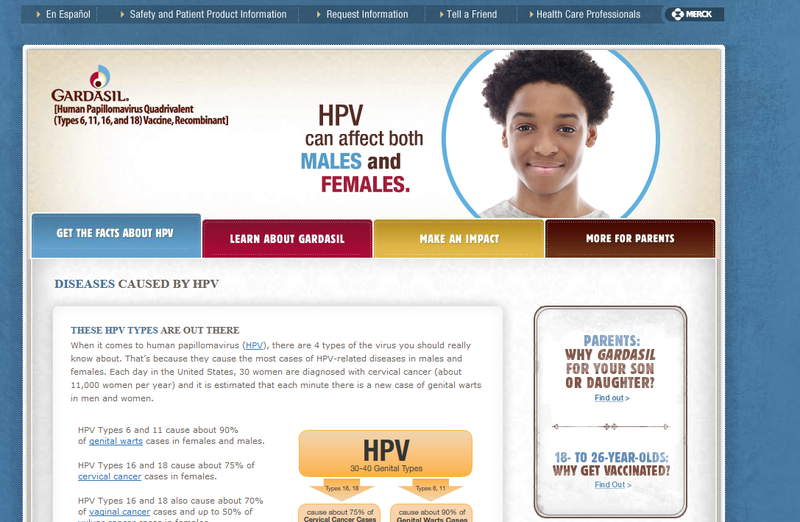 Today I just watched a video “Gard­sil HPV Vac­cine Hoax” That guy HealthRanger went on to explain how the FDA knew all along that Gardsil’s vac­cine does not help pre­vent­ing cervix cancer. What the heck? 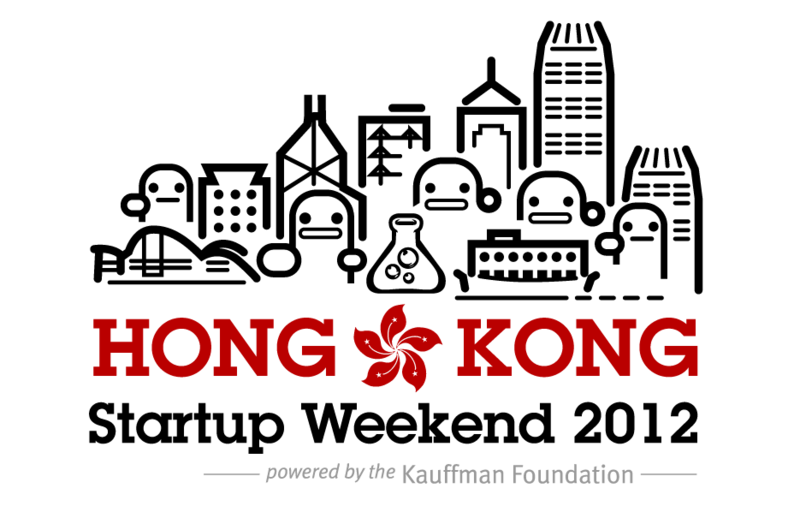 I have never expected it to look so darn like a typ­i­cal affil­i­ate marketing’s mini-​site. “It can affect your son too” — isn’t it get­ting bla­tantly obvi­ous they’re now trying to expand their market by broad­en­ing their fear campaign? After all, the thing has only been released for sev­eral years, though the hype and media cov­er­age it has received is just not pro­por­tional! Here we have got celebri­ties sell­ing the vac­cine to me. If we really pull out for a bit and look at this from a high level — doesn’t it sound strange? I mean I have never seen vac­cines and med­ical stuff mar­keted like this. Maybe it’s just a change in trend, but maybe it’s a sad man­i­fes­ta­tion of our cap­i­tal­is­tic society. Then again, that HealthRanger guy in the video keep preach­ing his own Web site new​star​get.com, so I cannot say that he is 100% neu­tral on this matter too. Yes­ter­day I read a blog post from Mil­lion­aire Mommy Next Door, The World’s Short­est Guide On How To Be Thin and Rich. The gist of the post is so short that I’ll just quote the “guides” here. As an exper­i­ment, you can ask your­self (or your friends): do you know what to bring you closer to your goals? Are you doing those things? Published on March 29, 2010 in anything. 1 Comment Tags: education, lifehacker, professors. 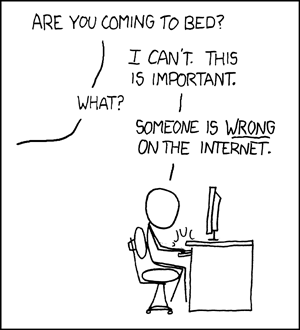 I just read a post on Life­hacker, it’s called What’s the Most Impor­tant Class You’ve Ever Taken?. There is one guy that made a very long reply. I can judge from his leg­i­ble writ­ing that he’s telling a truth, and in that case, a sad truth of the cur­rent state of our edu­ca­tion system. By far, the most enlight­en­ing class I ever took was an Eng­lish class (which I sub­se­quently left after the first day). While it didn’t teach me much about the sub­ject, it opened my eyes to the extreme polit­i­cal and philo­soph­i­cal bias in many of our col­leges today. A bias that rewards those who agree with the doc­trine pro­fessed by instruc­tors, and pun­ishes any thoughts that con­tra­dict their beliefs. This isn’t as big an issue in many schools, and it cer­tainly varies between teach­ers, sub­jects of study, depart­ments and the makeup of the stu­dents in a class, but it my case, the hypocrisy of these “enlightened” teach­ers was on full dis­play that day, and taught me to ques­tion not just the state­ments people make, but their motives for making them. The class began as most do, with the dis­tri­b­u­tion and read­ing of a syl­labus, a brief intro­duc­tory of the instruc­tor and stu­dents, and then pro­ceeded to the professor’s overview of the class’ objective. “This will be like no class you’ve ever taken” she began. “Here, we won’t just learn about Eng­lish lit­er­a­ture, but also learn how to apply it to real sit­u­a­tions, with an empha­sis on women’s suf­frage and black rights”. I double checked my sched­ule, to be sure I was in the cor­rect room. Yes, room 206 at 10:00am in the Eng­lish build­ing, I was in the right place. And the title of the class in my sched­ule con­firmed what she was now scrib­bling on the chalk board “Thirteenth Cen­tury Eng­lish Literature”. So I raised my hand. “What does Eng­lish lit­er­a­ture in the 1200’s have to do with women and black rights?” A fair ques­tion I thought, but appar­ently, I was wrong. She mut­tered some round-​about answer that dodged the ques­tion while star­ing scorn­fully at me. “Well,” she answered, “we’re look­ing at the link between what they wrote and racism and misog­yny today”. “Couldn’t it equally be the case that I haven’t read any 13th cen­tury Eng­lish writ­ings, and that’s why I don’t understand?” The annoy­ance was becom­ing obvi­ous in my voice. She stormed out of the room, in a hissy fit, saying she couldn’t teach a bunch of igno­rant rednecks. So, one bad teacher I thought. I’ve had plenty of good instruc­tors in the past, she was just a fluke. I wen’t to the bursar’s office and tried to get my money back for the class. I had little inter­est in the sub­ject anyway, and was only taking the class because it offered dual credit towards my degree. I was told that, in spite of this class start­ing late in the term, it was in fact past the drop-​add period and I would need a letter from my depart­ment head to get a refund. I made an appoint­ment to see him. When I arrived at his office, four of my teach­ers were there to have a talk with me. If he was to sign off on my refund paper­work, the policy was that I needed coun­sel­ing first from the staff . They pro­ceeded to tell me how shocked they were at my behav­ior, how dis­ap­pointed they were in me. The terms racist and sexist came up more than once. I reminded them that my girl­friend was half black, so as a woman and a minor­ity, she could attest to the fact that I wasn’t some bigot. I was merely ques­tion­ing the link between the course pre­sented in the course out­line I saw when I enrolled, and the very dif­fer­ent sub­ject matter I was pre­sented in the class, not to crit­i­cize it, but just to under­stand why such a dis­crep­ancy existed between what was adver­tised and what the school was really giving me. My refund was refused. They strongly urged me to change major, as this teacher I had offended was the head of the depart­ment who over­saw all the human­i­ties classes that qual­i­fied for the com­puter sci­ence degree I was pur­su­ing. I would need to go through her to graduate. “She doesn’t like me” I said, “but isn’t it a bit petty to assume she’d pres­sure a teacher to fail me on those grounds, even if my grades are passing”. That seemed to be what they were imply­ing, but they acted offended that I under­stood what their impli­ca­tions were. I was then told that I may not be a “good fit for this school”. I had paid up all of my other classes, so I con­tin­ued through the semes­ter. At this time, I car­ried a 3.9 GPA, which dropped a whole point by the end of the semes­ter. I’m con­fi­dent my grades were pass­ing, but papers and lab projects I handed in were graded as incom­plete, as though the teach­ers had never received them. Only one teacher stood by me and acted fairly. One of Eight teach­ers had any integrity. I changed schools, step­ping back to a com­mu­nity col­lege (with a 2.9GPA for a spring trans­fer, that was the only option avail­able to me). The com­mu­nity col­lege was more fair, but I began to notice cer­tain sim­i­lar­i­ties. The math instruc­tor who likes to review polit­i­cal polls, and then segway into his beliefs on the fal­lac­ies of the elec­toral col­lege and it’s injus­tice. 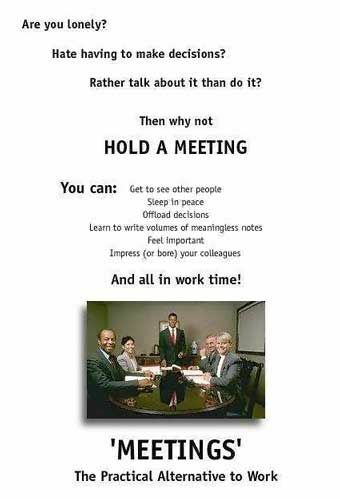 40 minute rants to solve one equa­tion. The robot­ics and man­u­fac­tur­ing tech­nolo­gies teacher who advo­cates the won­ders of automa­tion, but insists they must not be used to dis­place union labor, in spite of the effi­ciency or cost. As for Eng­lish teach­ers, I have yet to meet one with an ounce of sanity or a shred of integrity, they must be out there, but they aren’t teach­ing in a school near me. The stu­dents who suc­ceed in col­lege are the ones who keep their heads down and write what the instruc­tor wants to hear, saving crit­i­cism for when they’re off campus. Even a number of the pro­fes­sors who seem to have con­trary opin­ions to what most of the staff believes are care­ful not to make waves, and will seldom speak frankly to a stu­dent who may repeat it in front of another teacher. That class changed my out­look on many things. I have great respect for those who can tol­er­ate 6 years of col­lege. After all that, they’ll tol­er­ate pretty much any­thing, which often includes lower wages. Let’s face facts, if I’m hiring two people, one with 6 years of col­lege, and one with 6 years work expe­ri­ence but no col­lege, my expe­ri­ence tells me to value the latter. I’ll bet my money on the man who spent the better part of a decade in the real world, than the trained, pro­fes­sional Yes-​Man who knows how to tell me what I want to hear while secretly har­bor­ing the ideals imprinted on him by deranged, intel­lec­tu­ally stag­nate hippie douche bags. That may not be the case with all grad­u­ates, but it’s the right call most of the time and I make no apolo­gies for my belief. Published on February 5, 2010 in learning. 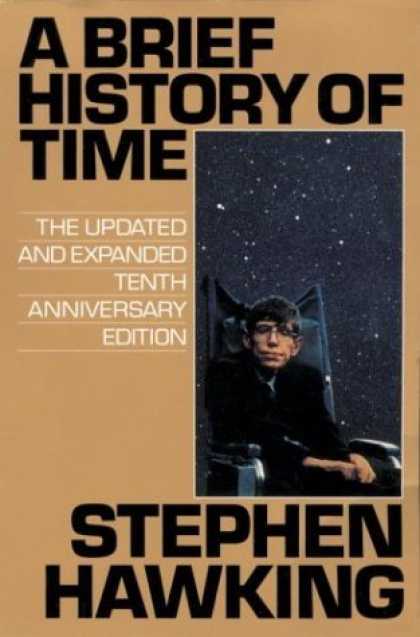 0 Comments Tags: brief-history-of-time, science, spacetime, stephen-hawking. A week ago, I attended a sem­i­nar in my school with the theme of Stephen Hawking’s A brief his­tory of time. Basi­cally, two pro­fes­sors shared their feel­ings and opin­ions towards this book. The talk was intended, like the book itself, to con­tain the least tech­ni­cal knowl­edge required but still be able to explain com­pli­cated, state of the art concepts. I was only a dozen pages in when I attended the talk, so attend­ing the talk actu­ally helped me grasp the big pic­ture of what this book is actu­ally about. Basi­cally, the book tries to dis­cuss cre­ation. How was the world created? Sin­gu­lar­ity – what is it and does it actu­ally exist? In 1988, a researcher pub­lished a paper to illus­trate the pos­si­bil­ity of an imag­in­ery time machine. Basi­cally, what he said was that such a machine can fast-​forward time no prob­lem (using worm holes), but can only go back­wards in time after the machine has been invented. That explains why we haven’t seen time trav­el­ers from the future. Published on January 28, 2010 in reading. 0 Comments Tags: a-brief-history-of-time, reading, spacetime, stephen-hawking. I was just walk­ing around my dorm today and came across a poster about a talk to be held in my uni­ver­sity about Stephen Hawking’s book A Brief His­tory of Time. I took a look at the related books area and instantly decided to set a mis­sion for myself: I’m going to read most (if not all) of Stephen Hawking’s writ­ings. They are so ele­gant and yet, simple. Hawking’s writ­ings read like a series of thought exper­i­ments: it’s not laden with terms and jar­gons for show­ing off’s sake, yet he man­ages to explain and pre­dict the most dif­fi­cult sci­ences of our nature. Truly, simple is beautiful. Published on January 27, 2010 in anything. 0 Comments Tags: bill-gates, blogging-idea, the-gates-notes. I’ve been in and out of this blog of more than a couple of years now, and it’s been a piti­ful half a year ago since I wrote my last post. Ini­tially when I first started this blog, I was writ­ing about random stuffs (it was called kiZZ kiZZ’s daily ram­bling back then). Then I wanted to look smart and started to focus on writ­ing philo­soph­i­cal stuffs like why you shouldn’t get upset with people, but ideas quickly ran out and posts stopped coming out. Then I started writ­ing about random things again but with­out a clear direc­tion, the moti­va­tion just wasn’t there after the excite­ment of open­ing a blog worn off. After migrat­ing tech­ni­cal posts over to my other blog Code for Concin­nity, my main blog here quickly became stagnant.